Wow, time is flying so much! I really need to come up with a schedule to get my life organized! Right now, my crafting time is consistently suffering from the time I spend volunteering, cooking, cleaning etc.. 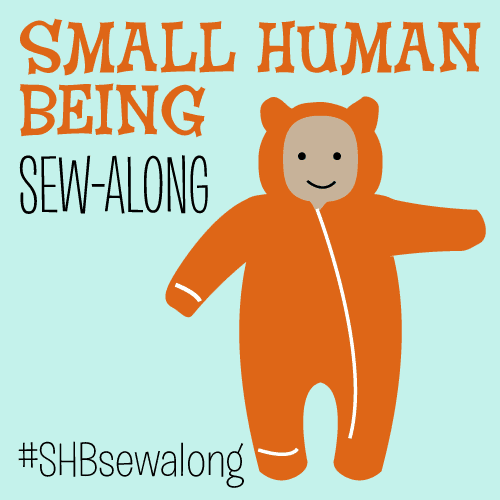 I don’t really believe in planning creativity, but I really would like to get some sewing done again. More about this planning later! I’ve been wanting to learn crochet for a while, and materialistically I was definitely ready for it. 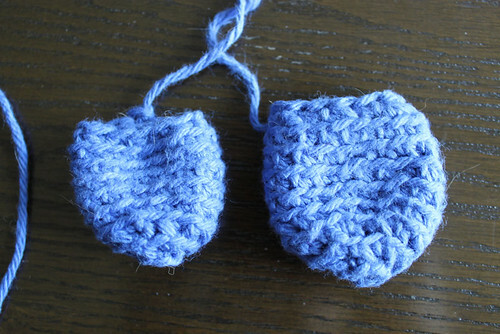 I tried to teach myself a couple of times, but couldn’t get the right grip, didn’t use the easiest yarn or hook. Yes, all my attempts failed. My whole family at home could probably teach me in no time, but being 6000 miles away, doesn’t really help ;). Also, I’m left-handed (but crochet with my right hand), not sure if that made it easier. I tried to find classes in my neighborhood, but the only thing I could find was a 3-hour class for $35 at JoAnn. I wasn’t convinced this would actually help me, as I normally need to see things over and over, before I get it. 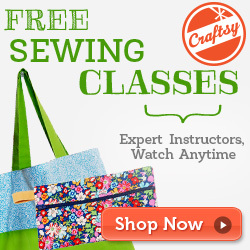 So when I heard of Craftsy.com (seriously if you haven’t heard about it yet, check it out! 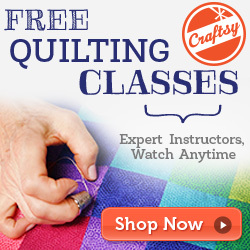 There are so many great courses, from quilting to couture sewing to knitting to woodworking to bonbon making) and saw the Amigurumi course and got a nice discount by signing up for the newsletter (they’ve reduced all the prices substantially now), I knew this would be the best for me :). 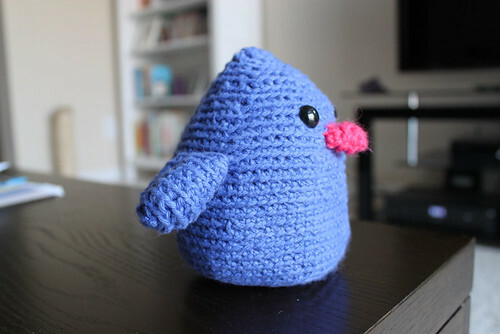 I’ve only finished the Blue bird so far, but I’m really happy with it! 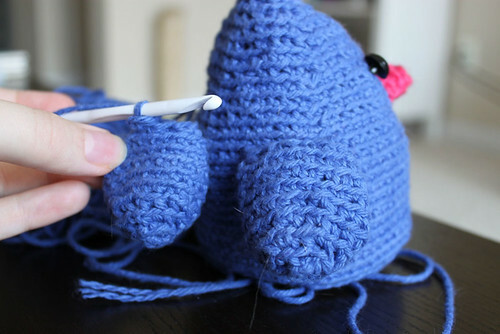 You can easily see the progress I’ve made while crocheting the bird. 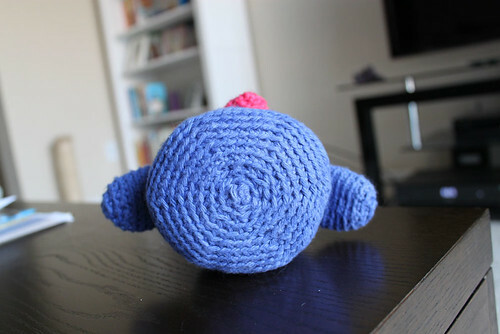 The stitches making up his head are quite sloppy and his belly area looks quite neat, I think. 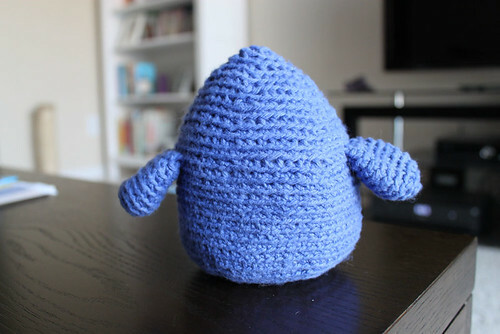 I was so excited making the bird that I crocheted one wing first, then the body, and only made the second wing after attaching the first. Big mistake! My stitches got so much tighter that the difference between the wings just looked really silly. I ended up redoing the first wing, because even though I tried to crochet the second wing loser and sloppier, it’s hard to do something wrong, when you’ve learned something right. 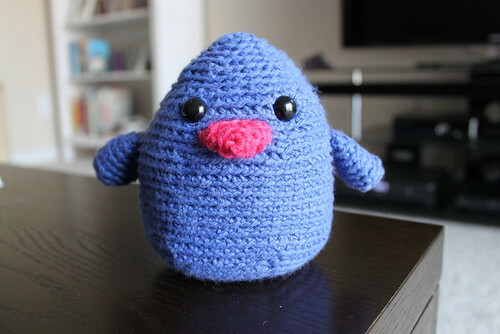 I do hope that somehow I can increase my crochet speed, because the making of this bird took me 4 evenings! 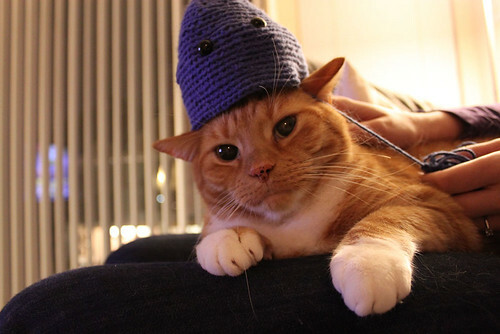 The bird was supposed to be 6″, but my crocheting is so tight that it ended up being the shortest of the class at 5″. Poor chap! Het wordt niet helemaal goed weergegeven, maar jee! Je eerste haaksel! Ziet er goed uit. Oh, nu ik een bericht gepost heb kan ik het wel zien, logisch. Apart dat je (volgens A) maar in één lus moest insteken, bij alle ami’s die ik ken is het in beide lussen. Ja dat moest inderdaad! Misschien omdat het makkelijker is? 2 lussen lijkt me wel lastig nog, haha! Nee hoor, dat valt heel erg mee. Want je steekt de naald er in één keer onder/doorheen.